I am a truck driver who works every Monday morning to Thursday evening on the road. I am either driving or sleeping on the road and my truck only stops for fuel or food or unloading at destination. Because of this I can only run on Friday, Saturday and Sunday. 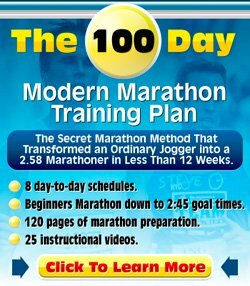 I am training for mostly 10k's and would like to get to a sprint triathlon by November. I don't want to overtrain and get injured, but, I need to work hard. You are in a difficult position and it is hard to find any suitable running advice that can really make a difference. Given the three consecutive days I only see a possibility for a hard-easy-hard approach. The hard days need to be really hard, so either long or tempo/interval. If you do tempo/interval in the morning, then you might want to squeeze in an easy run at night, just for the extra kilometers. So make it a real tough day and make it really count. The big mistake you can make here is that you make all three days hard training days. That's detrimental to your training. If you go hard on the Friday, then the Saturday needs to be recovery. If it is not, then the Saturday is going to be "sort-of-hard" and the Sunday is going to be pretty ordinary because your legs can't take anymore. Apart from the additional risk of injuries, the training impact of hard-hard-hard is going to be worse than that of hard-easy-hard. You are limited with what you can do in only three days, but I hope this helps a bit. Make sure you stay safe on the roads and good luck with your running.